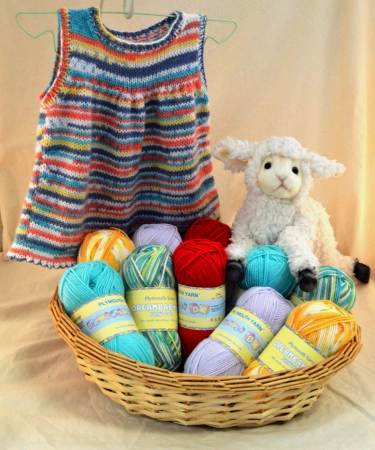 These yarns are the comfort foods of knitting, the beautiful basics that we reach for again and again. We’re committed to these fabulous yarns…which means you’ll always find plenty of them, in as many colors as we can carry! 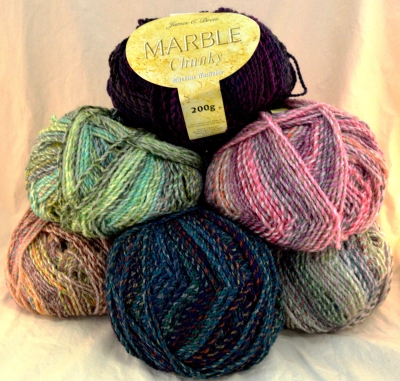 Check out our year-round best-selling yarns below, then visit us in the shop or call (931) 707-1255 to order. 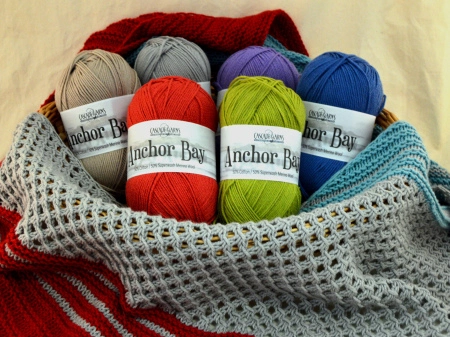 Cascade Yarns Anchor Bay – 50% Cotton / 50% Superwash Merino Wool, 20-22 sts = 4″. 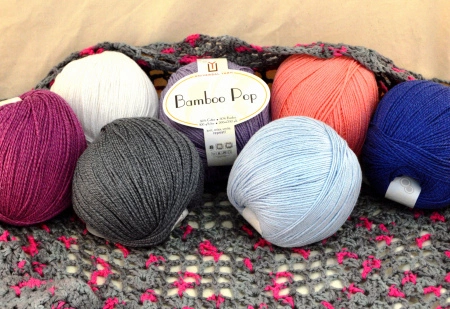 Universal Yarns Bamboo Pop – 50% Cotton / 50% Bamboo, 20 sts = 4″. 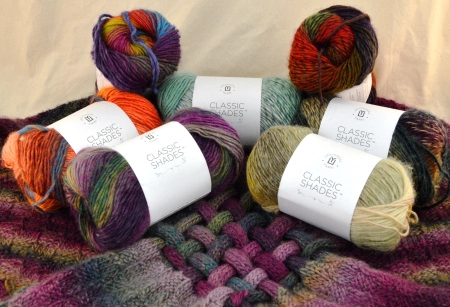 Universal Yarns Classic Shades – 70% Acrylic / 30% Wool, 18 sts = 4″. Plymouth Yarn Company Dreambaby DK – 50% Microfiber Acrylic / 50% Nylon, 22 sts = 4″. 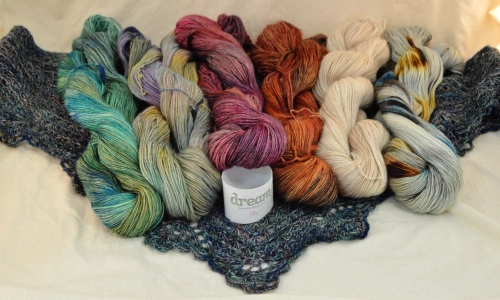 Dream in Color Yarn Jilly – 100% Superwash Merino Wool, 28-32 sts = 4″. 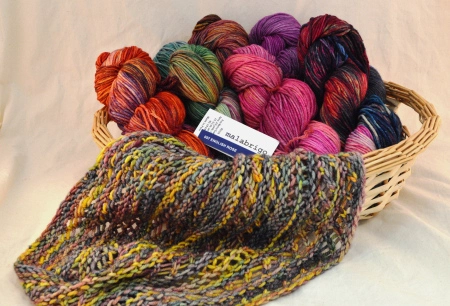 Malabrigo Rios & Arroyo – 100% Superwash Merino Wool, Rios 18-22 sts = 4″, Arroyo 20-22 sts = 4″. James C. Brett Marble Chunky – 100% Premium Acrylic, 14 sts = 4″. 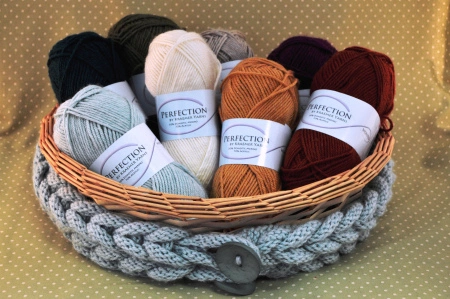 Kraemer Yarns Perfection Worsted – 30% US Merino Wool / 70% Acrylic, 20 sts = 4″. 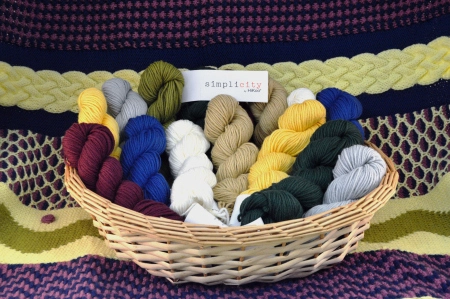 Simplicity by Hikoo – 55% Merino Superwash / 28% Acrylic / 17% Nylon, 20 sts = 4″. 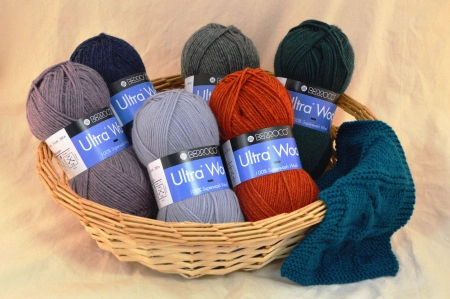 Berroco Ultra Wool – 100% Superwash Wool, 20 sts = 4″.